Analyst house Gartner, Inc. recently released their annual Magic Quadrant for Application Performance Monitoring Suites. Gartner recognizes that application performance is integral to success in any digital business. Gartner believes the need to manage digitalized business processes will cause enterprises to monitor 20% of all business applications with APM suites, which is up from 5% last year. The report is vendor agnostic and Gartner does not endorse any vendor, product, or service in its publication. Although this is a network performance monitoring site, it’s important to recognize what application performance vendors are doing. This is especially relevant because many of the vendors have overlap. 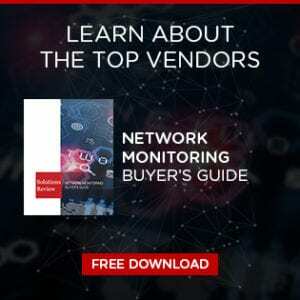 There are more vendors in the network performance monitoring Magic Quadrant, but APM vendors are growing and this field will boom soon. APM vendors are changing the way they approach monitoring, adding new analytics, machine learning, and cloud-based delivery. This has narrowed the field, as Gartner believes that the differences between the Leaders and Challengers are less defined than ever. Gartner prioritizes three things in the market: Digital experience monitoring (DEM), application discovery, tracing, and diagnostics (ADTD), and artificial intelligence for IT operations (AIOps) for applications. 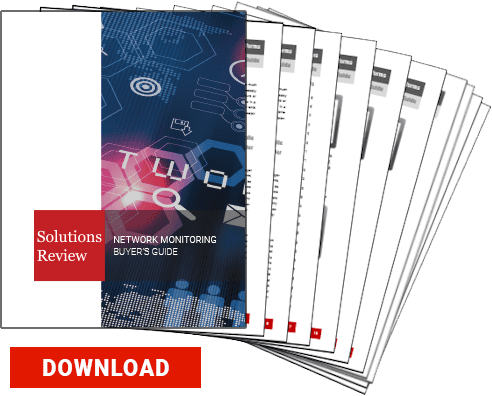 In this report, Gartner evaluates the strengths and weaknesses of 15 application performance monitoring vendors. The Magic Quadrant graphic plots the vendors based on completeness of their vision and ability to execute. From here, the vendors can end up in four different categories: Niche Players, Visionaries, Challengers, and Leaders. This year the Magic Quadrant incidentally failed to place anyone in the Visionaries category. The 15 vendors selected for this year’s report are BMC, CA Technologies, Cisco (AppDynamics), Correlsense, Dynatrace, IBM, ManageEngine, Micro Focus, Microsoft, Nastel Technologies, New Relic, Oracle, Riverbed, SolarWinds, Tingyun. Considering Gartner sees this field growing tremendously over the next few years, it’s important to dive into their definitions. Gartner mentions digital experience monitoring as a core component of an application monitoring vendor. This is a tool that allows IT teams to better understand user experience, whether that’s through a machine or human. DEM is a basic functionality of any good monitoring solution. It includes real-user monitoring and synthetic transaction monitoring for both web and mobile end users. Application discovery, tracing, and diagnostics work to “understand the relationship between application servers, to map transactions across these nodes, and to enable the deep inspection of methods and other host resources.” It combines application topology discovery and visualization, user transaction profiling, and application component analysis. These three capabilities were formerly separate. Artificial intelligence for IT operations is reminiscent of some network monitoring tools. It works to automate discovery of performance and event patterns and detect the root cause of performance issues. As with network monitoring, machine learning is prominently used in this technology. The leaders for the APM Magic Quadrant has been consistent. For example, Dynatrace has been a Leader for 8 consecutive years. CA Technologies, another repeat Leader, has been very active lately regarding invigorating its APM options. Over the past few years, CA has applied for about 20 patents on various APM tools. AppDynamics was purchased by Cisco, increasing their resources tremendously. Their product quality also hasn’t gone down according to Gartner. Although New Relic only offers SaaS delivery of APM, Gartner believes in the quality of their product. Gartner doesn’t believe that this inhibits them in a detrimental way. Interestingly, for a Gartner Magic Quadrant, there were no Visionaries named this year. Instead, 7 vendors were named Niche Players. Whether this indicates a truly mature market as Gartner states or something more worrisome, such as a lack of innovation, has yet to be seen. It’s clear that the APM market will continue to explode with our increasingly app-based world. Gartner notes that there are various startups in this space. They also note that almost all of the APM providers expect to see behemoths like Google and Amazon to boost their infrastructure monitoring capabilities. Gartner believes that digital experience monitoring may start to break out from APM to establish itself as its own market. They see DEM as a standalone that needs more attention than an umbrella tool like APM.